Made with Blik Re-Stik, these movable and reusable decals are based on the same 8-bit graphics from the original Asteroids arcade game. Apply to smooth, dry surfaces. Save the product backing in order to take the decals with you when you move. 65 black decals printed on clear background. Asteroids range in size from 4" to 20". This is an official Atari licensed product. 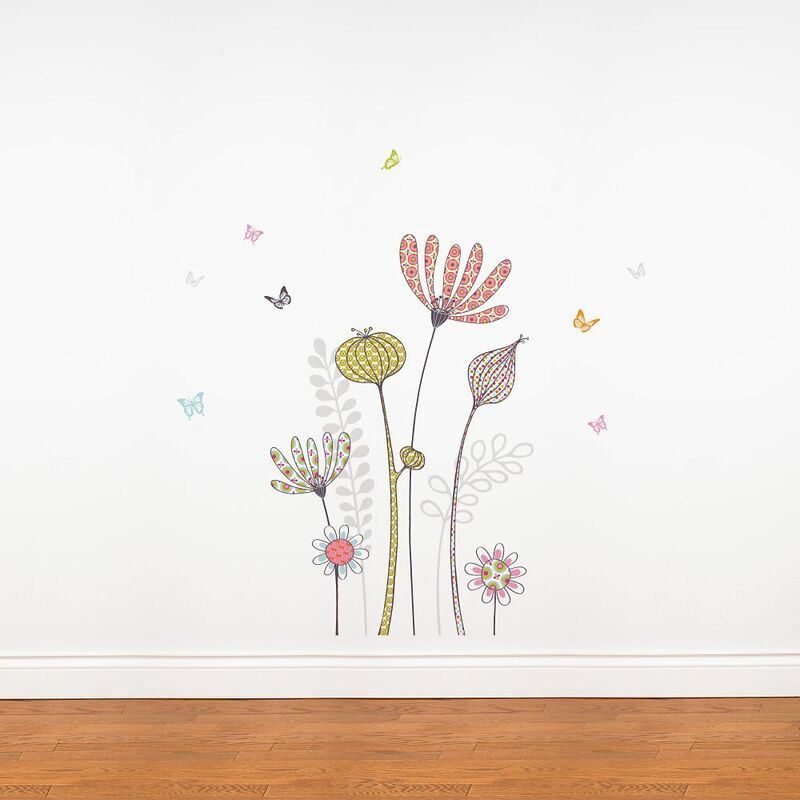 Flowers And Butterflies This collection of XL stickers offers a wide variety of organic style decals that can be applied on walls, mirrors, appliances, windows or pretty much anywhere your want to add a touch of stylish and unique decoration.